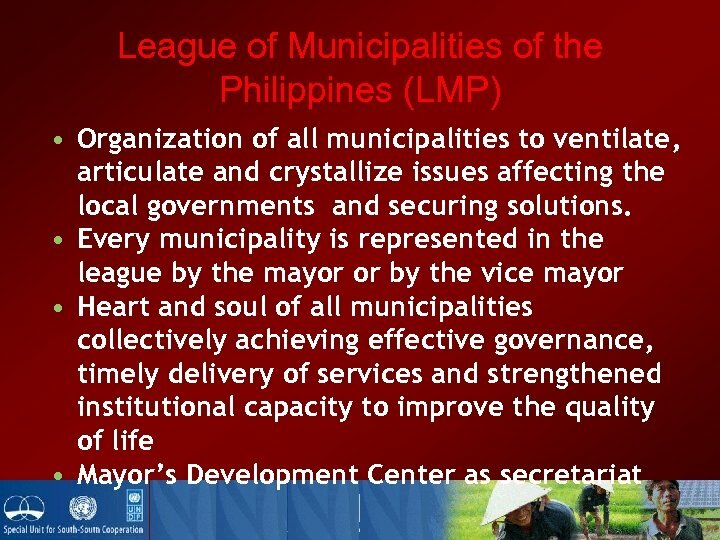 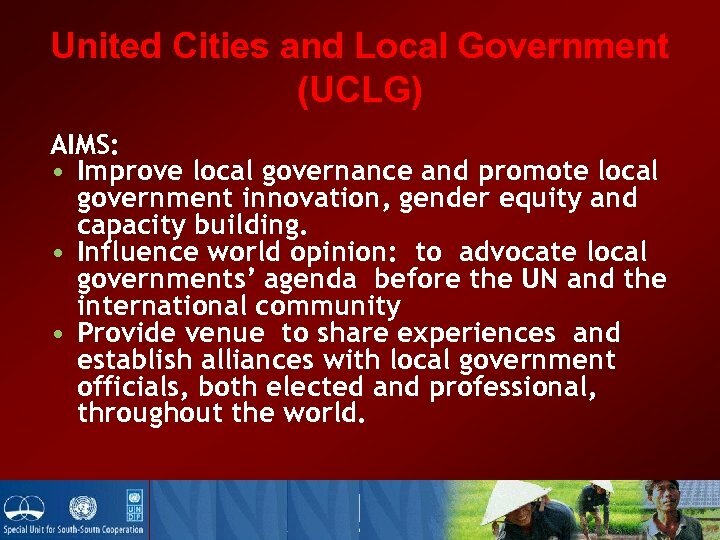 United Cities and Local Government (UCLG) AIMS: • Improve local governance and promote local government innovation, gender equity and capacity building. 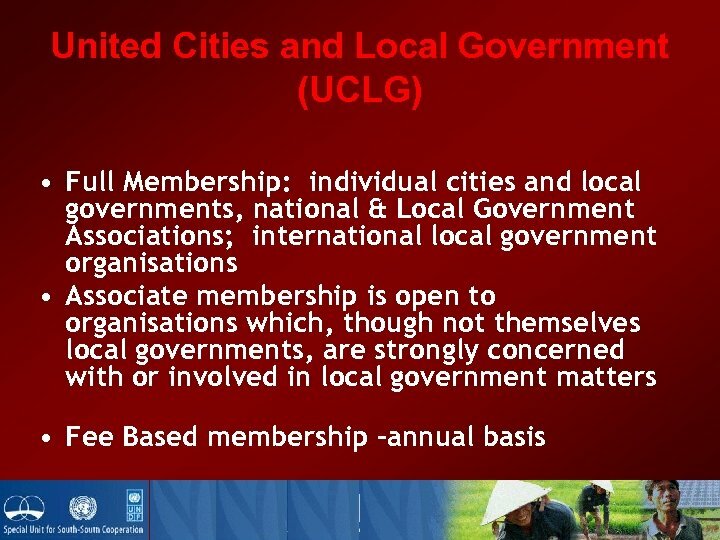 • Influence world opinion: to advocate local governments’ agenda before the UN and the international community • Provide venue to share experiences and establish alliances with local government officials, both elected and professional, throughout the world. 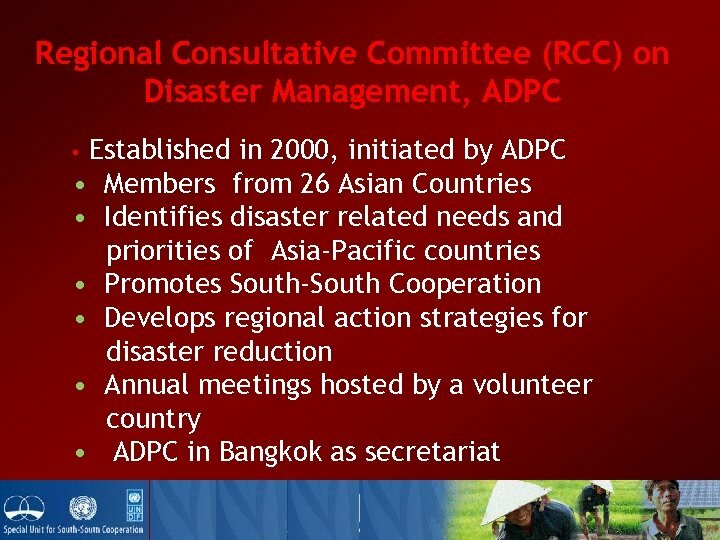 ASEAN Committee on Disaster Management (ACDM) • Established in 2003. 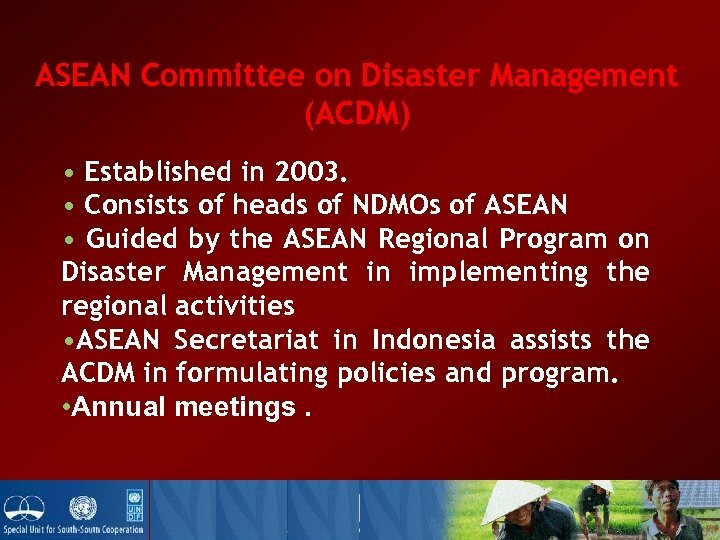 • Consists of heads of NDMOs of ASEAN • Guided by the ASEAN Regional Program on Disaster Management in implementing the regional activities • ASEAN Secretariat in Indonesia assists the ACDM in formulating policies and program. 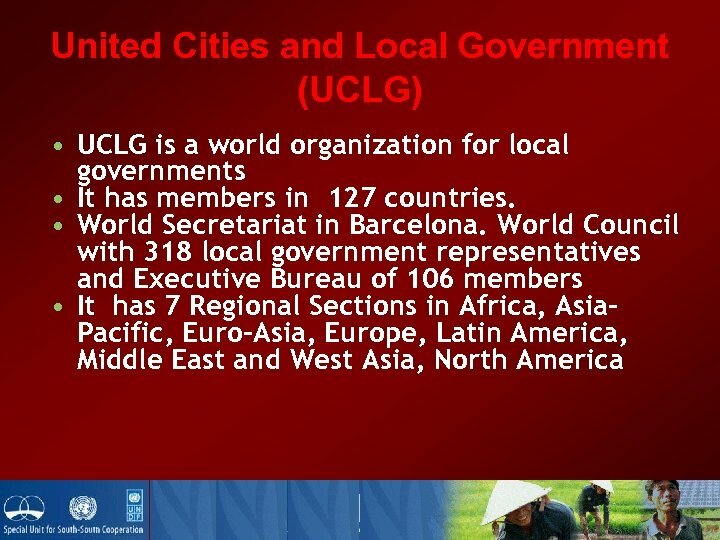 • Annual meetings. 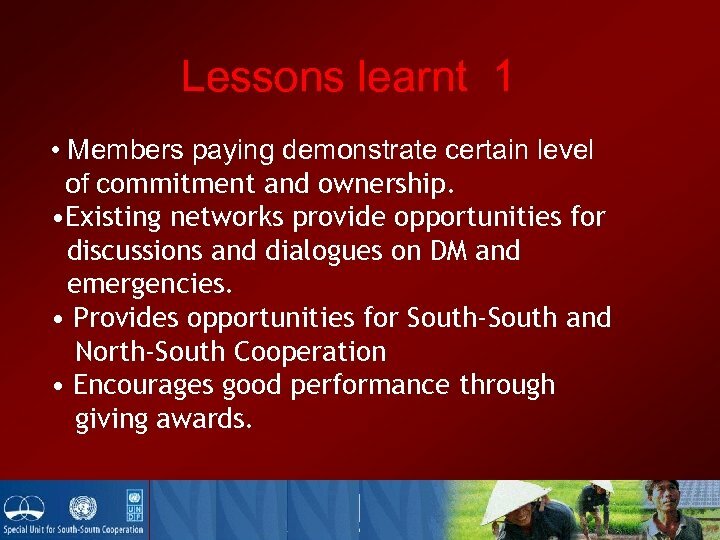 Lessons learnt 1 • Members paying demonstrate certain level of commitment and ownership. 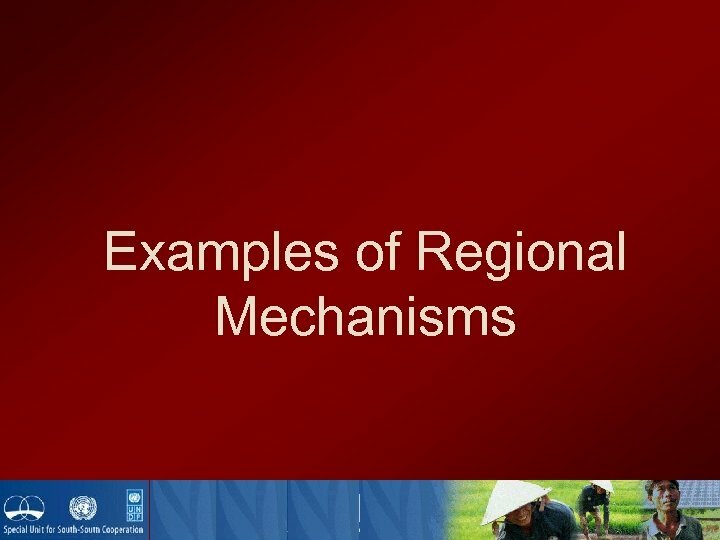 • Existing networks provide opportunities for discussions and dialogues on DM and emergencies. 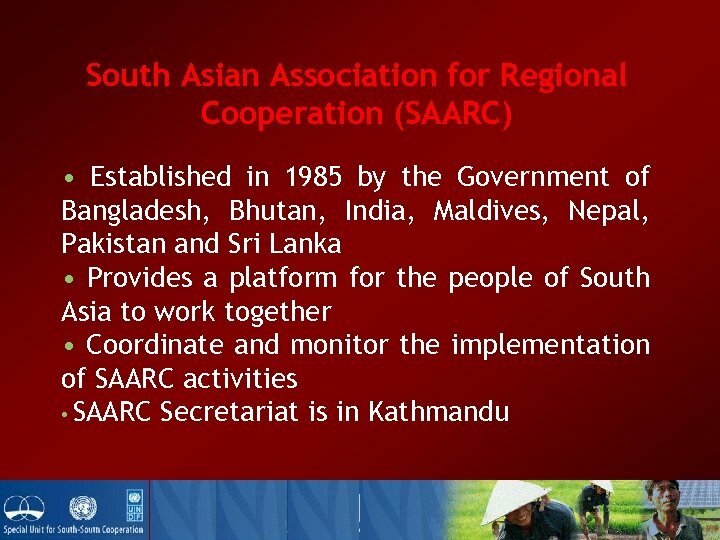 • Provides opportunities for South-South and North-South Cooperation • Encourages good performance through giving awards. 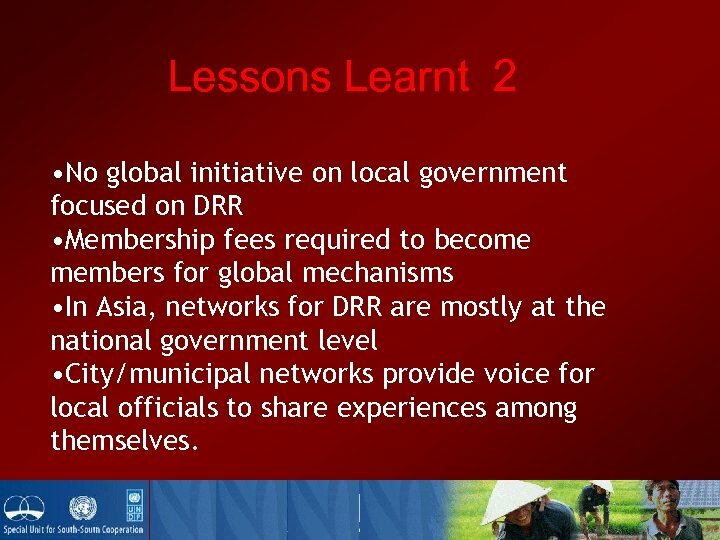 Lessons Learnt 2 • No global initiative on local government focused on DRR • Membership fees required to become members for global mechanisms • In Asia, networks for DRR are mostly at the national government level • City/municipal networks provide voice for local officials to share experiences among themselves. 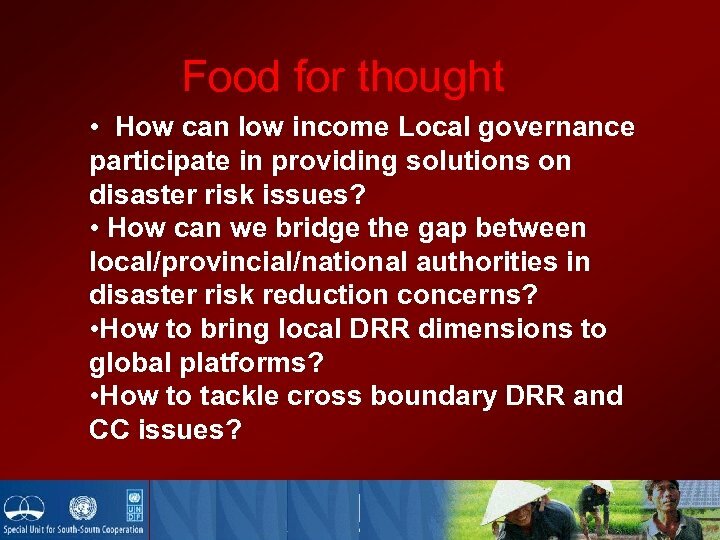 Food for thought • How can low income Local governance participate in providing solutions on disaster risk issues? 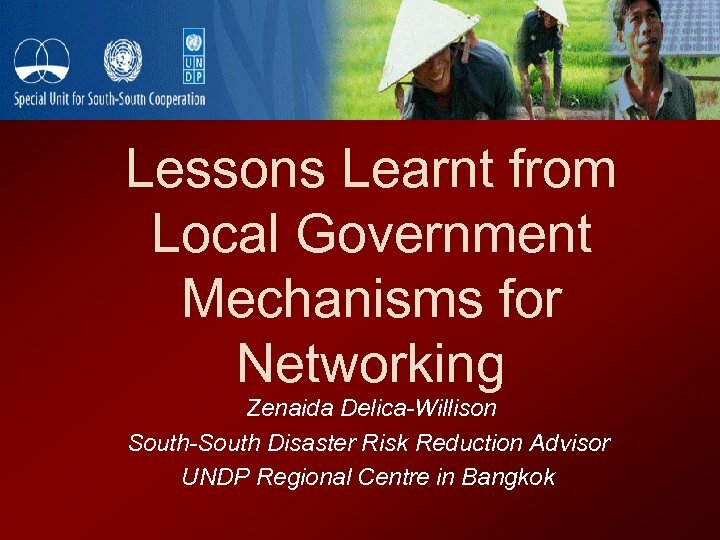 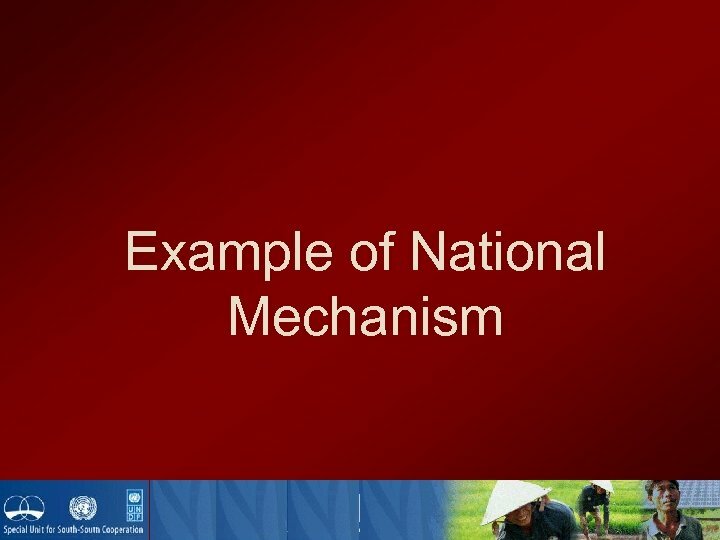 • How can we bridge the gap between local/provincial/national authorities in disaster risk reduction concerns? 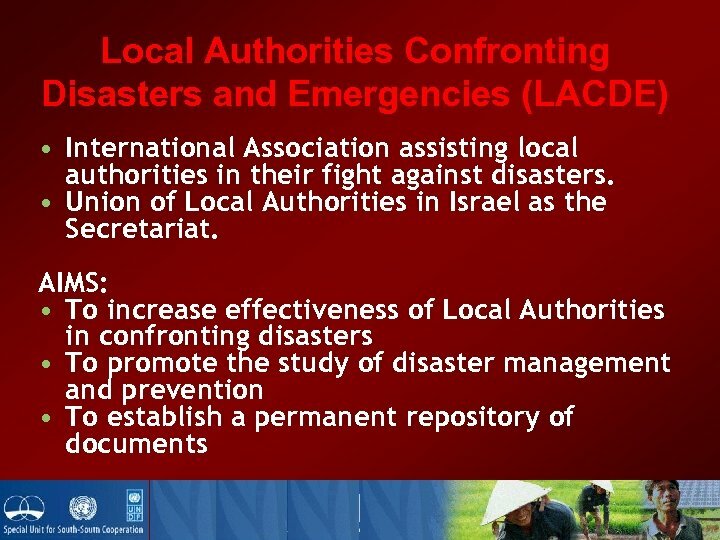 • How to bring local DRR dimensions to global platforms? 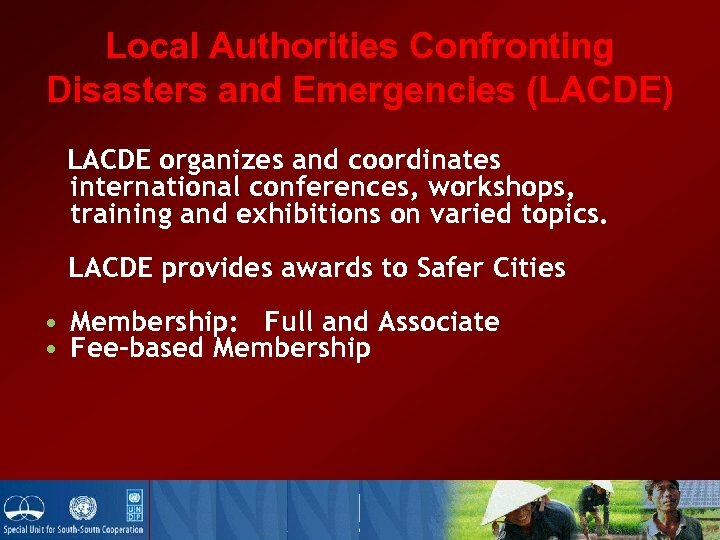 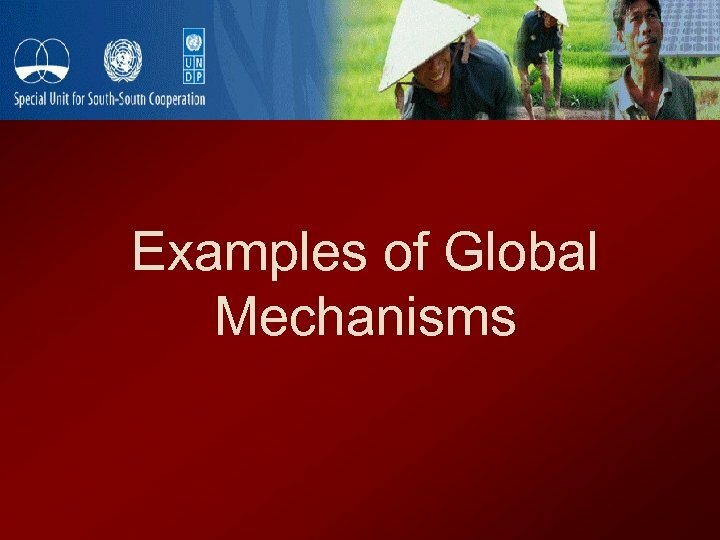 • How to tackle cross boundary DRR and CC issues?